LDUK wants to prevent further people being infected with Lyme disease this Summer. Our ‘Wake Up to Lyme’ campaign aims to raise awareness on how to prevent tick bites, how to safely remove ticks and the importance of early treatment for those people who become unwell following a bite. 1. 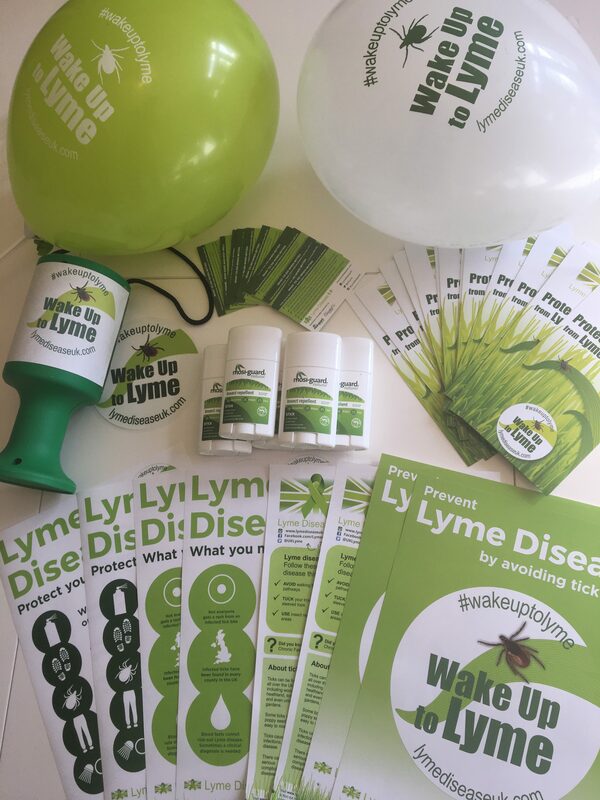 Request a free LDUK ‘Wake Up to Lyme’ awareness pack here containing posters, leaflets, car stickers and tick awareness cards. Distribute them in your local GP surgery, pharmacy, vets, church, community and recreational venues, libraries, your office and wherever else you feel may be appropriate. You can find a letter template requesting permission from businesses and GP surgeries to display posters and other awareness materials here. IT IS NOW POSSIBLE TO DOWNLOAD AN AWARENESS PACK HERE! 2. Write to your GP, pharmacist and other health professionals and ask them to take the RCGP e-learning course on Lyme disease which was co-produced and funded by LDA. 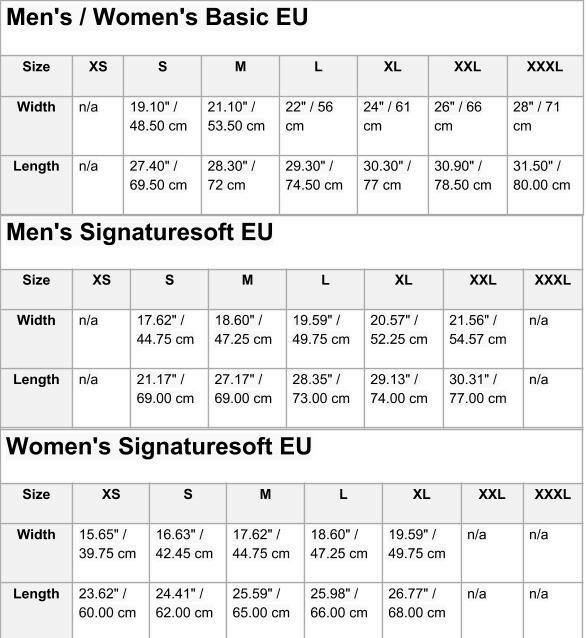 A letter template can be found here. 3. Email our downloadable awareness posters and infographics to your friends, family and colleagues to help them wake up to Lyme! They will learn how Lyme disease is contracted, tick bite prevention tips and the importance of early diagnosis and treatment. Feel free to use this template as the body of the email! Share our Wake Up to Lyme Campaign video and other infographics from our public Facebook page. 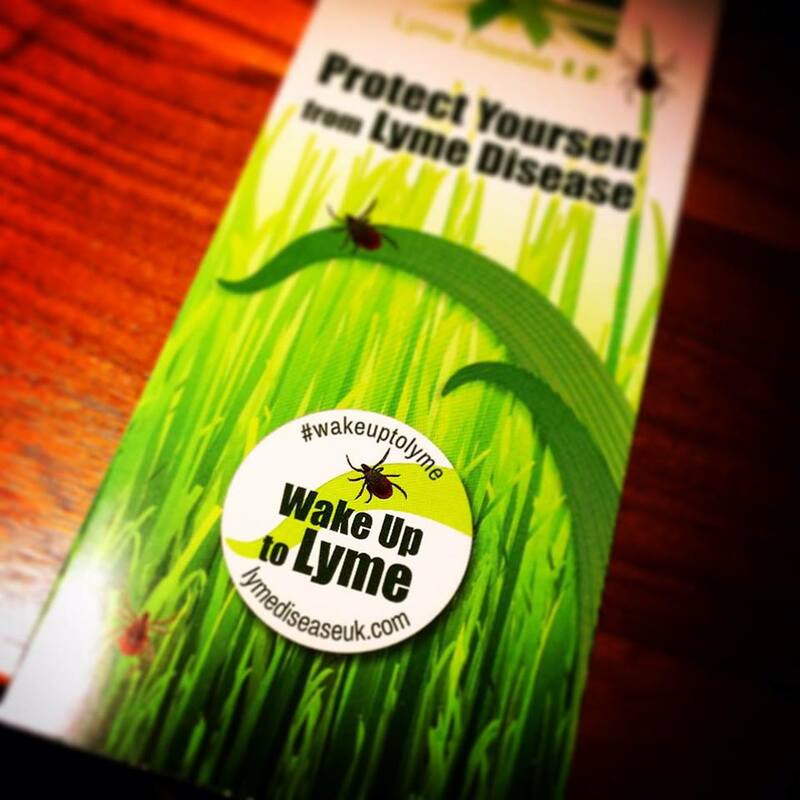 Tweet our ‘Wake Up to Lyme’ GIF and share it on your Facebook page. Download, and share our posters and infographics across social media platforms. Use #wakeuptolyme on social media to get us trending! If you would be interested in submitting a short video selfie or photo for the LDUK team to consider uploading to our YouTube Channel and to share on our website and social media channels, please email admin@lymediseaseuk.com with your footage. Also, please share your videos on your own social media and in our Online Community Group if you’re comfortable doing so (using the hashtag #LymeSelfie). Where you might be able to hold it (some community places offer free space, also consider where will be busy). If you find a venue or local organisations which are active on social media or have a newsletter/notice board to help promote your event. Who you know locally who could help you. Look at your friendship circle – does anyone have connections to local schools, groups, organisations, politicians or celebrities. If there other sufferers nearby who can get involved. If you want it to be purely an awareness raising event or if you want to raise money for LDUK. 6. 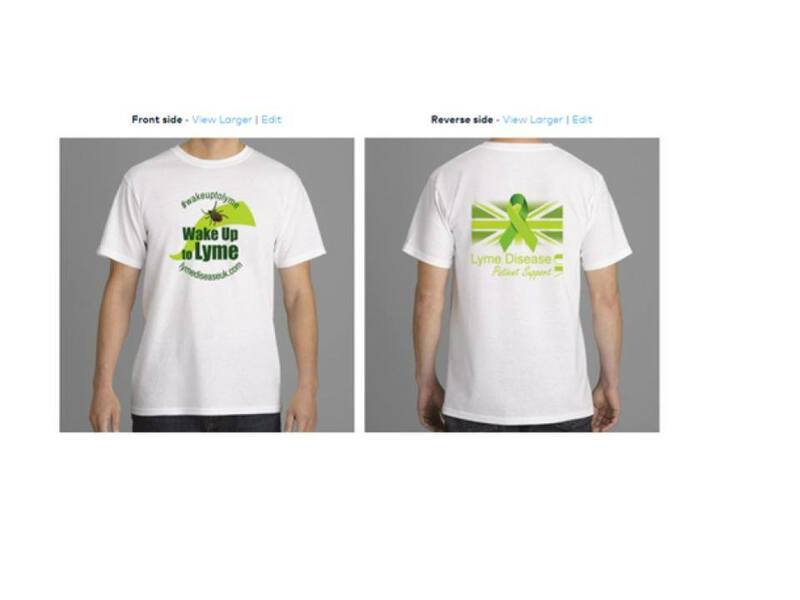 Order a ‘Wake Up to Lyme’ campaign t-shirt! Please pay £15 via the donate button on the website and send an email to admin@lymediseaseuk.com with the size, type of t-shirt and your postal address. If you would like an LDUK collection box, lapel stickers, balloons, tick awareness cards or leaflets, please email your request to admin@lymediseaseuk.com Please note that we cannot provide collection boxes for fundraising for private treatment for individual members but we can send balloons, posters, leaflets and awareness cards for you to use at your personal fundraising events. 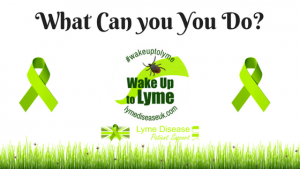 Get involved with the ‘Wake Up To Lyme’ campaign! Let’s spread the word and stop more people from being infected with Lyme this year!